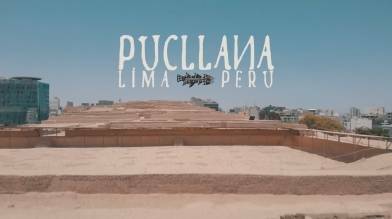 Check out this amazing drone video of some famous ruins in Lima, Peru, compiments of contributor Auquicu. Shot with a DJI Mavic Air drone, the video beautifully captures the Huaca Pucllana ruins in the Peruvian capital city. The centerpiece of the site is a tiered pyramid constructed of adobe and clay materials. The structure was built by the Lima Culture, a pre-Incan society centered around modern-day Lima which existed in the first seven centuries AD. Description: Pucllana (Huaca Pucllana) is a great adobe pyramid located in the Miraflores district of Lima, Peru, that served as an important ceremonial and administrative center for the advancement of the Lima Culture, a society which developed in the Peruvian Central Coast between the years of 200 AD and 700 AD, and the Wari Culture (500 AD-900 AD). Video and music by Jorge De Albertis. DJI Mavic Air. Authorization is required to fly in Pucllana.